The Mykonos Folklore Museum is located in the Venetian Castle (also known as “Kastro”) district of the island, close to the Paraportiani church in Chora. The museum is a storehouse of 19th century antiquities housed in an old double-storey whitewashed building, that used to be the 18th century home of “Captain Malouchos”, a characteristic sample of Cycladic architecture. Items on display at the museum are vintage furniture, ancient tools and ceramic works, historical photographs and traditional musical instruments. You can also visit the restored kitchen as well as a fully furnished 19th century bedroom. The museum has also won acclaim for its fine collection of paintings of the Greek War of Independence of 1821. 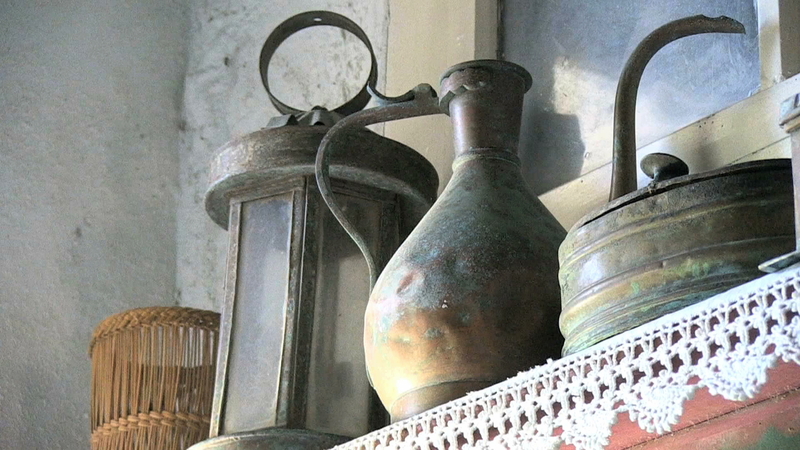 A visit to the Mykonos Folklore Museum gives a fascinating glimpse of the island’s rich past. myGreece.tv is a travel video guide that provides information about the top travel destinations in Greece. The mission of this platform is, through the incomparable strength of video in relation to the other media, to provide the potential travellers, in their initial stage, the basic information that they should know about the city or destination they are visiting in a quick, simple and easy manner. myGreece.tv is commercially operated by Viewmax Media, a online content creation company based in the center of Athens in Greece. It was founded in 1992, and it has been very active in the area of publicity services, television production and has extensive experience in audiovisual event production. myGreece.tv is part of a family of travel websites like ExploringGreece.tv and myCyprus.tv.